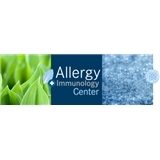 Allergy & Immunology Center (Miami) - Book Appointment Online! Excellent bedside manners, tailored comments to patient’s questions and needs, mindful of patient’s communication style and level of anxiety, provides options in terms of treatments that are available and background information in regard to the diagnosis he makes. He is present and not on his phone during interaction with patient.